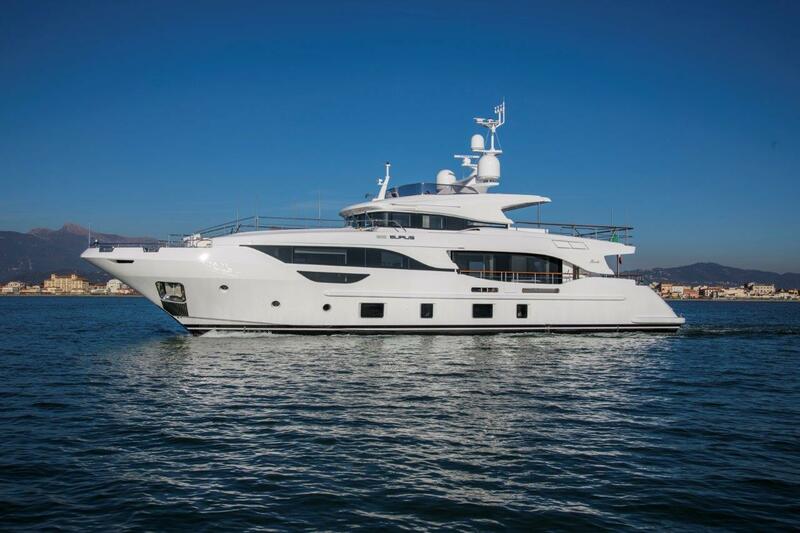 This is a hectic time for Benetti which, simultaneously with the “Giga Season”, that consists in the launch and delivery in just a few months of three giga yachts of more than 100 meters in length, has delivered a yacht of the Class category. She’s “Eurus”, the fourth model of Delfino 95 a yacht with fiberglass displacement hulls and carbon fiber superstructure. 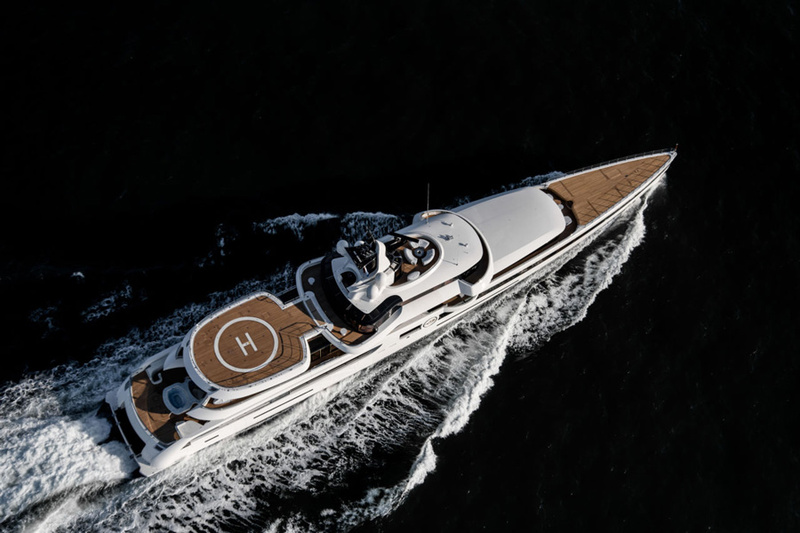 In the followup of the delivery of M/Y “Eurus”, which took place 27th February in Viareggio, Franco Fusignani, CEO of Benetti, commented: “The challenges we have faced the last months of 2018 and those in which we are involved in 2019 are very ambitious, this because we collaborate with technicians and suppliers who work with passion and devotion to achieve significant results that engaged us and will engage us in the conquering of challenging targets”. Delfino 95 “Eurus” stands for her elegant and luxurious interiors, enriched by a marble and parquet flooring, and for her external spaces, realized by Giorgio M. Cassetta. With a length of 29 meters, her layout is developed on four decks and has four cabins for 10 guests. Among the special features of this yacht, the elegant chromatic finishes and its parquet flooring, made even more interesting by altering of light and dark oak, stand out. The Master cabin and the guest’s cabins bathroom’s floors characterized by Zebrino and Limestone marble represent an exception. The colors chosen for the interiors, recalling soft shades of pink, green and light blue, give a relaxing atmosphere to the environments, suitable for a boat customized for the family. The Main Deck host at bow the owner’s suite, with its private bathroom, at amidship is the galley, equipped with a wine-cell, an ice machine, two washing machines and two dryers; At stern a large saloon is divided into a relax and dining zone, furnished with a table for 10 people. On the Lower Deck, the crew area has 2 cabins plus 1 for the captain for a total of 5 persons. On the same deck, there is the night area for guests with 4 cabins, two Vip and two guests, each with private bathroom. The Upper Deck is characterized by spacious outdoor areas furnished with sofas and sunpads. All the elegant furnishings at stern have been personally selected by the owner. In the inside areas the wheelhouse is separated from the exteriors by a glass sliding door. A second pilothouse and a fabric sofa for the guests on the Sun Deck make it possible to fully enjoy every moment of the cruise.